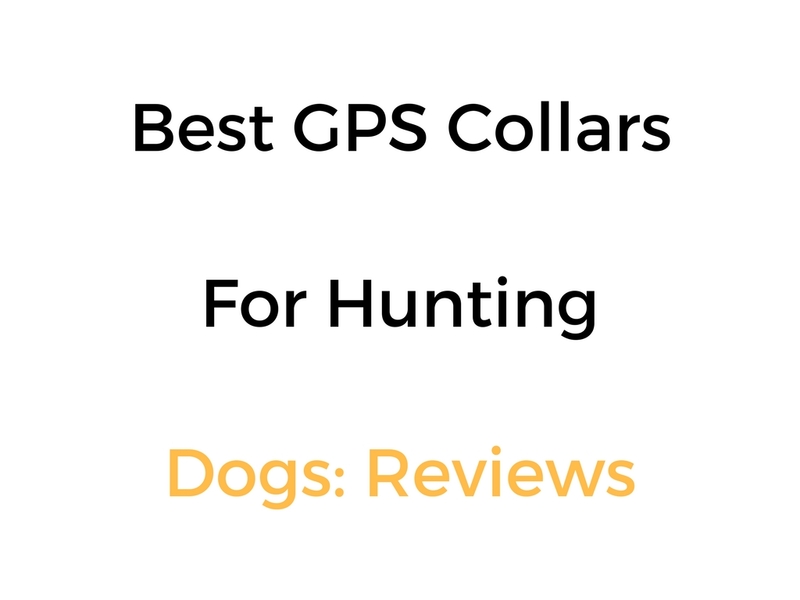 We put this guide together for people who want to find the best GPS Collars & Tracking Systems for hunting dogs. SportDOG, Garmin and Dogtra all feature heavily, and for good reason. Each of these brands make some of the top of the line dog hunting collars on the market. We identify the best ones as well as outlining their main features, so you can figure out which one it most suitable for your dog/s. There are also other GPS Collar tracking systems available which we outline below if the above systems aren’t for you. Count your coveys – mark where you found your catch, mark where your car or lodge is, mark tree or food waypoints etc. The Alpha 100 is a a tracking + training system. It works best with the Garmin TT15 collars. It works by receiving signals from additional Alpha 100 handhelds, TT 15 and TT 15 mini dog devices (each sold separately). When using a vehicle to find or follow your dogs, the Garmin DriveTrack™ 70 dog tracker and GPS navigator (sold separately) provides an easy-to-watch “big picture” solution. The 7-inch moving map display shows dog positions overlaid on TOPO contours or satellite image views – along with navigation cues that help point you to your dog’s current location. BirdsEye Satellite Imagery (subscription required) is an add on that allows you to have a better-than-real-life view of terrain, including roads, water, woods and more. You can also get the free software – Basecamp. It allows you to view and organize maps, waypoints, routes, and tracks. This free trip-planning software even allows you to create Garmin Adventures that you can share with friends, family or fellow explorers. BaseCamp displays topographic map data in 2-D or 3-D on your computer screen, including contour lines and elevation profiles. It also can transfer an unlimited amount of satellite images to your device when paired with a BirdsEye Satellite Imagery subscription. You also have the option to use your computer as a tracking station. You can load your laptop with BaseStation software to turn it into a field control center for tracking multiple dogs and/or buddies (up to 20 Alpha units, TT 15 or T 5 dog devices). View real-time GPS information on the larger display of your computer, making it ideal for canine search and rescue teams. And because it’s GPS and GLONASS, you’ll get safe, secure and more effective tracking, even where Internet and cell phone service isn’t available. The Dogtra Pathfinder TRX is a tracking ONLY system. There’s also the Dogtra Pathfinder which is a tracking + training system. What Is A GPS Dog Tracking System? A GPS/tracking system that usually comprises of a collar receiver or collar device, and a handheld GPS tracking remote, or smartphone app. What Are GPS Dog Tracking Systems Used For? Tracking the activity of your dog so you know if they’ve been resting, walking, running, on the point, treeing etc. Types of GPS Dog Tracking Systems? How Do GPS Dog Tracking Systems Actually Work? The features really do vary depending on the type of system you get. The best thing to do is to read through the reviews we’ve linked you to above to get an idea of the features each one has. When Might You Use A GPS Dog Tracking System? When you want to know what your pet is doing – standing still, walking, running, what direction they are heading etc. What GPS Dog Tracking System Do I Get For My Dog? Can Puppies Use A GPS Dog Tracking System? It’s best to ask your dog’s vet. The manufacturer should tell you the minimum age or weight for dogs using the system. 6 months old is an age given by some manufacturers. You could add more information about the tracking collar for hunting dogs. Like the Garmin tracking collars. Otherwise very well made and organized website!